As fall finally approaches and those scorching Texas temperatures finally cool off, it’s the perfect time to make plans to visit one of the many state parks right here in Central Texas. Whether you like to camp or spend the day exploring, these hidden gems offer the chance to appreciate the natural beauty of Central Texas without traveling far from home. Grab your hiking boots and get ready to roast some marshmallows. McKinney Falls is the closest State Park to Austin and has all the natural beauty you could wish for but still close to home. Campsites are large and have a picnic table and fire pit. Located at the confluence of Onion and Williamson creeks, the park is a great place for swimming and hiking, and the falls are especially scenic after a good rain. You can also pay a visit to “Old Baldy,” a 500+ year-old, 103 food tall cypress tree, one of the oldest bald cypress trees on public land in Texas. 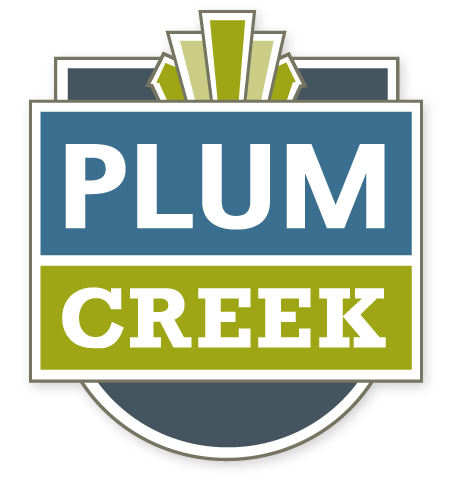 At only 25 minutes away from Plum Creek, this park offers a natural escape without a long-distance road trip beforehand. Bastrop State Park offers a magnificent bike trail through the Lost Pines of East Central Texas, in addition to swimming, hiking, and golf. The park has rebounded after the devastating 2011 wildfire, and nearly all of the trails, campsites, and facilities have reopened to the public. Cabins and facilities built by the Civilian Conservation Corps in the 1930s are still standing and available for group rental, or for those wishing to experience a bit of history while enjoying the outdoors. You can also rent a canoe or a barbeque pit at the park and spend the day enjoying the natural wonder of the Lost Pines at Bastrop or neighboring Buescher State Park. The park also features scenic drives, if you’d prefer to experience the great outdoors from the comfort of your own vehicle. Pedernales Falls State Park is a favorite for family hikes, featuring an easy 7-mile trail that winds along small canyons created by the Mescal and Tobacco creeks. Located in the heart of the Texas Hill Country west of Austin, Pedernales Falls is a great place for camping, mountain biking, fishing, bird watching, and more. The campground is spacious and well-kept, and offers campers a peaceful escape in a uniquely beautiful setting. The Pedernales River also offers some great swimming, tubing, and wading for cooling off after a day exploring the natural wonders. A quarter mile nature trail also leads to a scenic overlook of Twin Falls, perfect for capturing those postcard moments or just enjoying the breathtaking view. For equestrians, the park can also be explored on horseback on the rugged, 10 mile trail that winds up and down the hillsides. Southeast of Kyle, Lockhart State Park offers a variety of outdoor activities for the whole family, including picnicking, camping, fishing, hiking, and more. With nice hiking trails and several dams and fishing holes, this park is a great place to make a day trip or to camp for the night. The park also features a nine-hole golf course, the only staff-kept course in the Texas State Parks System, and a park swimming pool. RV travelers are welcome as well as traditional campers, and there is a CCC built recreation hall that can be rented for group events. And if you get tired of roasted marshmallows, the famous BBQ joints in Lockhart are only minutes away. Want more to explore? Check out the Texas State Parks map on their website and plan your own adventure.